Discussion about building information modelling software has tended to focus on designers’ needs, but the more I have thought about the announcement of Trimble’s acquisition of Google’s SketchUp last week, the more I see it as boosting its BIM capabilities from a contractor and a manufacturer or supplier’s point of view. For a start, Trimble’s existing strengths, as a I wrote last week, are largely focused on site-based processes, including GPS, optical and 3D laser-scanning, and it has been growing its BIM capabilities through acquisition of businesses such as Tekla (July 2011) – often cited by contractors for its use in structural clash detection. The deal provides a potential migration path from simple 3D design to the more advanced capabilities within the Tekla portfolio. SketchUp is a no- and low-cost application already widely used in construction businesses to help people learn the rudiments of BIM, and to access a substantial library of 3D objects – the 3D Warehouse – built up by Google over the past six years and integrated with Google Earth. The importance of the object library should not be under-estimated (for the foreseeable future, Google says it will “host and operate the 3D Warehouse for Trimble and together the companies will continue to offer the same capabilities, functions and services that are offered today”). 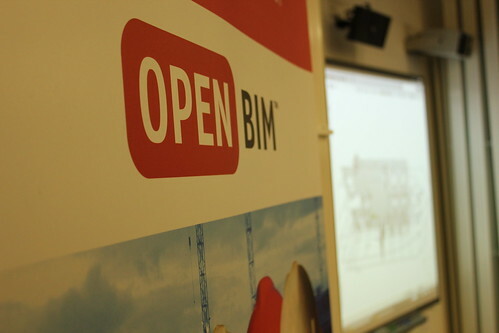 Trimble/Tekla is also one of the backers of the Open BIM initiative, launched last month (post), and there is growing competition to help product manufacturers and suppliers create BIM objects so that their proprietary products are specified during the design process and incorporated into models (last week’s CIMCIG BIM conference in London, at which I gave a BIM overview, highlighted the emergence of several BIM service providers – eg: BIMStore, National BIM Library – in this field, and it was certainly hotly discussed among the construction product marketers present). While Trimble may not be focused on the millions (c. 30m?) of casual users of the free version of SketchUp, the paid-for Professional version (at $495 a tenth the cost of some rival BIM applications) has a substantial user base among construction professionals. The deal also strengthens the potential of its project management tools in an increasingly mobile working environment (the Meridian business was acquired by Trimble in late 2006 – post). Enterprise-strength BIM collaboration and workflow among a wider group of professionals, facilitated by and accessed via different devices and platforms, is feasibly within Trimble’s reach. We are an authorised training centre for SketchUp and are very excited about the prospects of a dedicated AEC company having ownership of this platform. The potential for integration with high end BIM is mouth-watering.